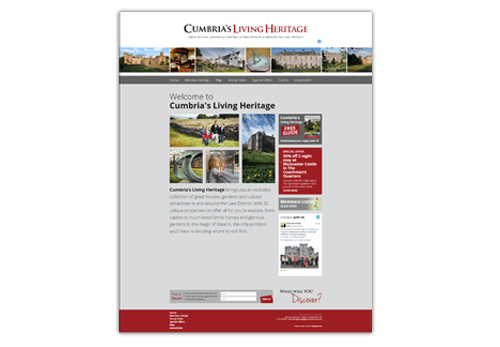 We worked with Cumbria’s Living Heritage and brought together thirty Cumbrian tourist attractions within one website. The WordPress website is aimed at dramatically boosting visitor numbers to great houses, gardens and cultural attractions in and around the Lake District. The site uses our e-book software to create an online guide which is mobile and tablet friendly. This also applies to the website which has been built using Responsive Web Design so it’s accessible to those who are exploring the Lake District using their mobile devices.